As a legal-writing professor for 14 years, I’ve attended countless conference workshops on various aspects of legal writing. The ones with music always stand out. There’s just something extra cool about a law professor who plays an instrument. Music speaks to the human ear in a way no law-school lecture ever can. 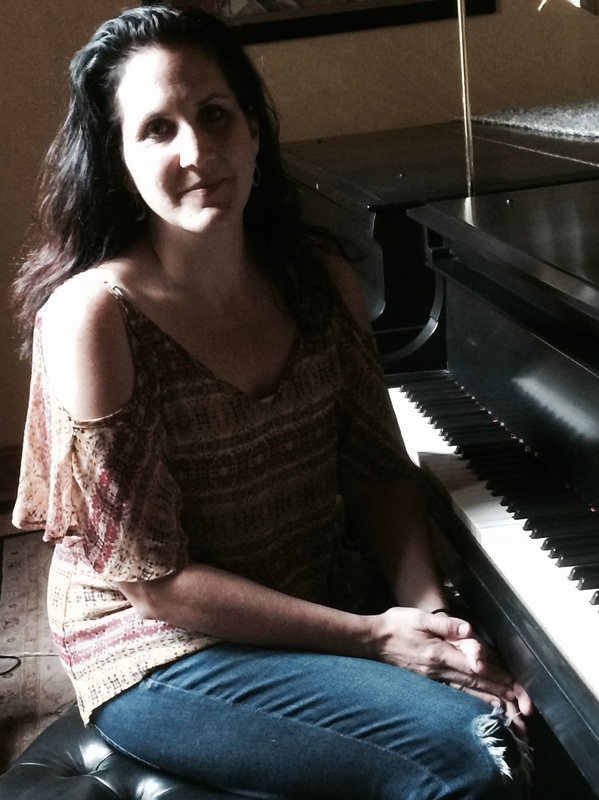 Concert-trained pianist Allison Kort is also a legal-writing professor at UMKC. Today she shares this guest post on the piano sonata and oral advocacy. The piano sonata form, particularly the Beethoven sonata (he wrote only 32), usually starts off with a bang. He gets the listener’s attention. The second movement—the slow movement—will bring in a second musical theme, weaving in finer, lighter musical points. The third sonata movement (or fourth) ends by tying together and resolving the development of the pieces, showing the listener how they must come together to a logical conclusion. In college I sat in a square room in a row of square rooms in the Mosse building in Madison, Wisconsin, cursing the Waldstein, (No. 21, Op. 53). I continued learning the intricate patterns and movements, the difficult runs in the right hand, don’t rush it, don’t slow it, too much crescendo, not enough pedal. My father, who had been a music professor before he went to law school, said it was too technically difficult, just not worth the effort. Maybe, but I will not give it up. I have been practicing the Waldstein and its three movements, on and off, since 1993. It is 2014. Fortunately, during that time, I found something else to do. Like becoming a lawyer and a law professor. In appellate advocacy, we encourage students to provide the listener with a theme. A theme may be unspoken—a general sense conveyed of why the judge should hold in the advocate’s favor—or it may be directly stated. Regardless, it will pervade the entire argument, be referred to in some way over and over again during the argument, interjected throughout the advocate’s answers to the judge’s questions, and appeal to the judge’s sense of fairness and morality. Is advocacy more music than writing? An expected logical conclusion arrives only after the conflict is introduced, followed by the boldest arguments, the details, and the triumphant conclusion. The practiced storyteller anticipates the judge’s questions, moves at the correct pace, guides the judge effortlessly through the affirmative arguments and through the opposing drama. It may look like a novel, but to the classical pianist, “May it please the Court . . .” sounds like Ludwig. One way to become a better listener is to work with a coach. Just Google “listening coach” and you may be surprised by how many resources there are. Laurie provides various types of feedback, including her own personal feedback and video feedback. She also encourages attorneys to seek feedback from peers and to reflect and learn how to become their own coach (the concept of self-coaching). Attorneys can demonstrate attention to clients and colleagues by controlling distractions and multitasking. Employing positive behaviors are easy ways to convey attention, including occasional head nods and encouragers such as “uh huh” or “mhm.” Laurie pointed out that verbal encouragers are especially necessary during phone conferences. In person, even when taking notes, attention should be on the client’s face as much as possible. What do oral argument, marketing pitches, and improvisational theater have in common? 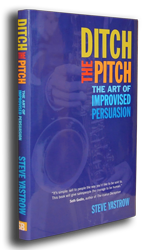 This blog previously reviewed Steve Yastrow’s informative and entertaining book, Ditch the Pitch: The Art of Improvised Persuasion, and addressed how some of Yastrow’s recommended approaches could apply in the oral-argument setting. Some of these applications may be unexpected — but one particular tactic is something skilled oral advocates have been doing from time immemorial: the “callback,” or referring to something someone said earlier. Callbacks demonstrate listening. And listening generates rewards, Yastrow writes, namely the rewards of your audience’s attention and interest. Callbacks also help the audience understand the conversation. They make it more coherent: “[A] callback ties material together, making it easier to understand and engage with that material,” Yastrow writes. When the information is easier to understand, it feels more cohesive and resonant. It’s more believable. Most subtly, callbacks involve the audience. In improvisational theater, callbacks help make the audience feel that they are “in on the joke.” They are “with” the cast and not part of the audience. Similarly, using a callback in oral argument involves the judge in the argument as more than a passive listener. When done right, mentioning a judge’s earlier comment or question can subtly suggest that the judge has already begin to take a few steps down the road toward accepting a certain position. Yastrow’s advice for executing a callback strategy is helpful for oral advocates (and legal marketers) as well. The three basic steps, he writes, are discovering the opportunity for a callback, remembering it, and integrating it into the conversation. Discovering the opportunity for a callback means being alert. Notice things that are important to the audience. Try to make a mental (or actual) list of “Things That Matter” to the audience. Advocates can prime themselves to be alert by their usual preparation steps such as studying precedent and the particular judges’ prior rulings. During the argument, advocates would certainly want to make a note of the dominant topics, i.e. Things That Matter to the judges. Lastly, the callback must be integrated into the conversation. There’s a ham-handed way to do this and an effective way. “Play it cool,” Yastrow advises; don’t say, “Hey, look at me, aren’t I clever, I just came up with a callback!” For advocates, one risk is over-playing their hand. Presenting the callback as a “gotcha” to the judge is probably worse than doing no callback at all. To be effective, the callback must naturally fit in with the conversation itself. And that requires an overall mindset of alertness to the audience’s interests and needs, as well as a willingness to take the risk of improvising. Oral argument — is it really a “conversation”? How can it be an authentic conversation when the power dynamics are so skewed toward the judges and when the attorney is ethically bound to advocate for the client? A recent incident with Judge Richard Posner is just one example of the inherent challenges of oral argument. Advocates may err on the side of scripted arguments and default answer structures as defense mechanisms to survive in this environment. Conversely, great advocates argue with flexibility, maintaining their basic persuasive agenda but effectively listening and responding to the judges’ questions. I was thinking of the challenges of oral argument when I came across about a new book, Ditch the Pitch: The Art of Improvised Persuasion by Steve Yastrow (SelectBooks 2014). Yastrow seeks to replace the scripted, one-size-fits all business “pitch” with the art of “improvised persuasion.” This book is most directly relevant to lawyers interested in marketing, and I highly recommend it for that reason. But for this post, the focus is on making oral argument more responsive and conversational using Yastrow’s improvisational techniques. The rest of the post substitutes [advocates] for salespeople, and [judges] for customers. The basic truth is harsh and hard to accept. Yastrow begins by attacking the belief that anyone — customer, judge, anyone at all — is actually interested in someone else’s scripted pitch/argument. How does one create a diagnostic conversation? An advocate cannot turn the table on a panel of judges and say, “Your honors, I’d like to start by learning more about your needs in handling the challenges of deciding this case. What are your sticking points with my client’s position?” But advocates *can* use oral argument as the opportunity to learn how the judges are thinking about the case. “Think input before output.” Perceive and comprehend the input conveyed through the judges’ questions and even at times their facial expressions and body language. “Say less to notice more.” Speak slowly enough that judges have a chance to think and ask questions as they arise. Make points thoroughly but concisely. “Turn down your analytic brain.” This doesn’t mean abandoning legal analysis. It means trying to turn down the overly critical self-judging that comes from worrying about how things are going as they happen. If an advocate is berating him- or herself for bungling a question, the advocate is not open to the new cues being offered and how to keep the focus on the judges’ needs. “Listen for the game.” Oral argument isn’t a game, but this language, drawn from theater improvisation, means finding the common ground of the improvised conversation: “What are we really doing? What are we really talking about? What’s going on here?” If an advocate is emphasizing the substantive legal question but the judges are asking technical questions about procedure or the effect on future cases, then there is no common ground — and no shared game to play. “Ensure your [judge] keeps saying yes.” In Yastrow’s words, “If your [judge] says ‘no’ to something you say or disagrees with a statement you make, you will immediately feel the conversation stall.” Indeed. To try to minimize these stalled moments, focus on areas of “mutual affirmation and agreement.” It seems that mutual agreement may come many sources: taking reasonable positions that the court might actually adopt; using binding precedent in skillful way; invoking shared understandings such as canons of construction; and possibly invoking shared imagery that is meaningful to the court. There are some other interesting points from the book to be explored in later posts, but let me end this post on the 95 percent point. How can advocates actually advocate for their clients while also keeping 95 percent of the focus on the judges? I have a few ideas, such as highlighting what the opinion will mean for the court as precedent going forward. What do you think? For oral advocates, have you explicitly tried to keep the focus on the court, and if so — how? And more generally: does the analogy of a sales pitch correspond to oral argument? How can advocates listen and improvise more effectively at oral argument? With the beginning of the new Supreme Court term and the opening of moot court season in law schools, this is an opportune time to study techniques for listening to yourself. By recording yourself giving a practice speech or oral argument and then studying the tape, you can greatly improve your effectiveness as a speaker. But watching yourself speak can be challenging. First, there is the hurdle of . . . just watching yourself speak. For many, it’s a painful experience. If you can get past the discomfort, forcing yourself to watch tape can reveal distracting unconscious behaviors that you can then begin to curb. The analytical content of a presentation may be more difficult to deconstruct by watching tape. 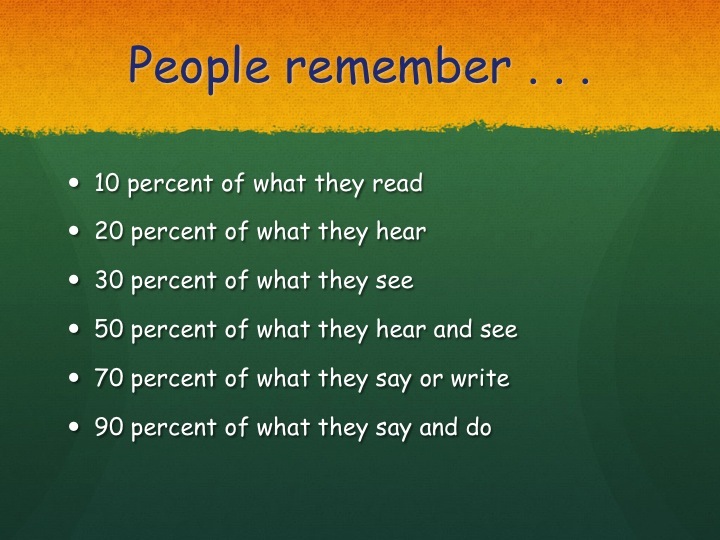 Seeing your nonverbal behaviors on tape may prevent you from focusing on the content. And hearing your own speech again may actually reinforce the content in your mind, rather than helping you recognize gaps and weaknesses. To listen to yourself and engage deeply with your own content, you need to listen specifically and critically. One innovative and powerful method for doing so is demonstrated in a wonderful Brain Pickings post here. In the post and embedded video, presentation guru Nancy Duarte breaks down Martin Luther King’s “I Have a Dream” speech. Her visual analysis deconstructs the speech’s rhythm and rhetorical components. The post and Duarte’s embedded videos are well worth your time for so many reasons. For lawyers working on a particular speech or oral argument or presentation, Duarte’s methods could be extremely useful. To listen to yourself using Duarte’s method, consider using audio as she does. This eliminates the distraction of seeing yourself. And it frees up your brain to think about the key issues she is focusing on: the segments and breaks in the speech, and the type of content delivered at different times. 1. First, find the natural breaks in your presentation. Working from the transcript of your practice presentation, insert hard returns where you paused. This technique reveals the shape of what you are saying. Duarte organizes Dr. King’s speech on a timeline running across the page and inserts the breaks vertically. But you could do it horizontally on a regular typed page to obtain many of the same benefits. This method by itself can help you hear whether the speech on paper is actually appropriate in spoken form. If you have an overwhelming eight-sentence paragraph in your draft speech, you’re going to have to insert more breaks. This method also can help you hear whether the pauses are coinciding with what you want to emphasize—or, as is sometimes the case, you are hesitating to pause at all. 2. Code your content, and examine proportions and patterns. She coded metaphors and visual words in pink. A lawyer might use pink to code vivid descriptions of the testimony to follow. She coded songs, scriptures, and literature in green. A lawyer might use green for cultural references (although whether to even use cultural references in a jury setting is a topic for another blog). She coded political references in orange. A lawyer might use orange for legal standards and references to the role of the jury. Duarte appears to have used some sophisticated software to generate the timeline and graphic components of the speech. But with a transcript and a simple word-processing program that allows text highlighting, lawyers could apply the same method. Speech-to-text applications such as Dragon Dictation could make this process even easier. Of course only the rare and gifted orators can even come close to the achievement of “I Have a Dream.” But everyone who prepares and delivers speeches and oral arguments can benefit from practicing and really listening to what that practice reveals. We can then critically examine what we are doing and how to make it better.